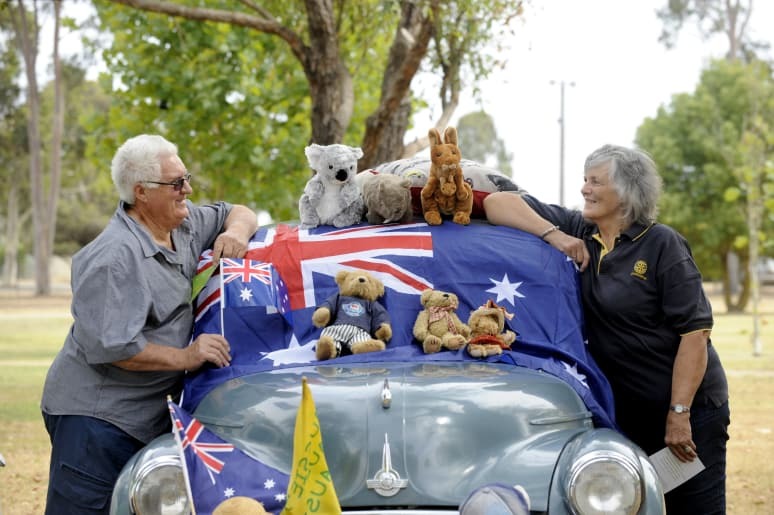 Robert and Sheryl Wallace share their love of Australia Day while celebrating a milestone year of marriage and family birthdays. 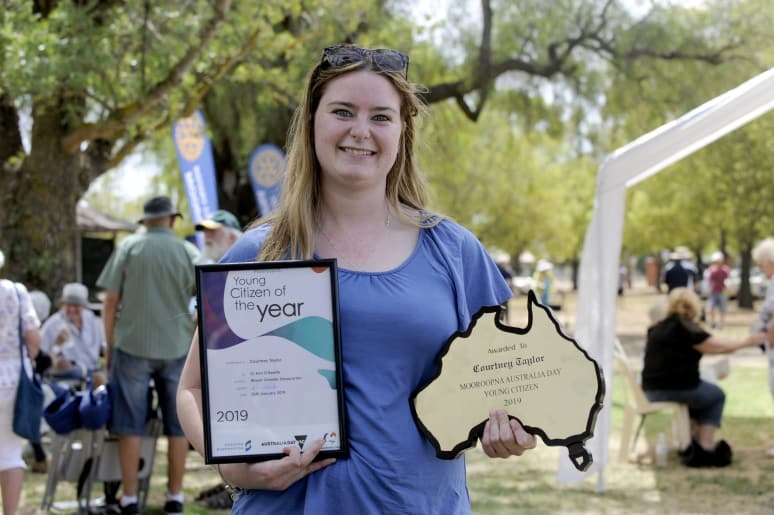 Young Citizen of the Year Courtney Taylor. 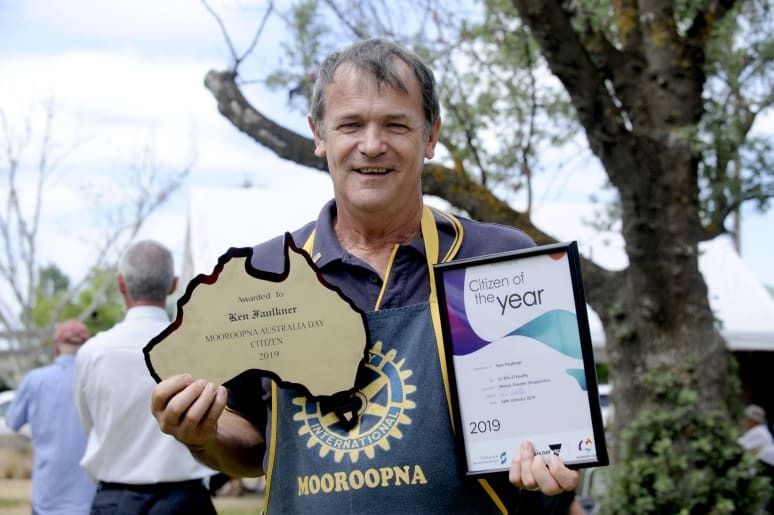 Citizen of the Year Ken Faulkner. 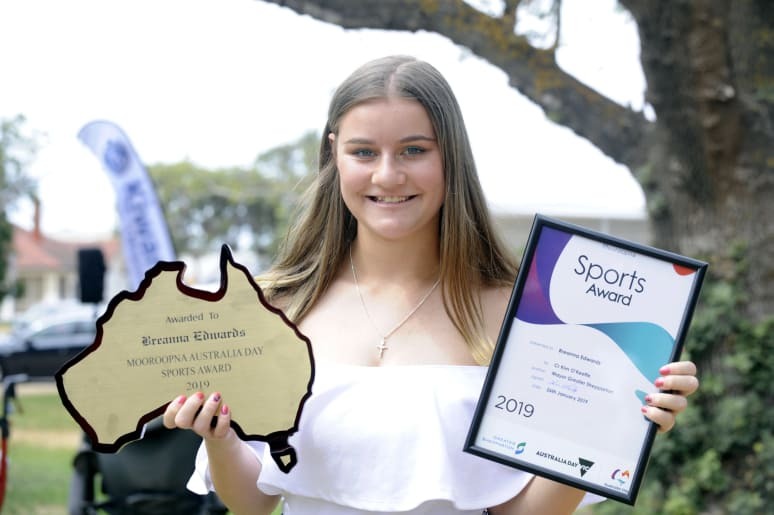 Sports Award winner Breanna Edwards. 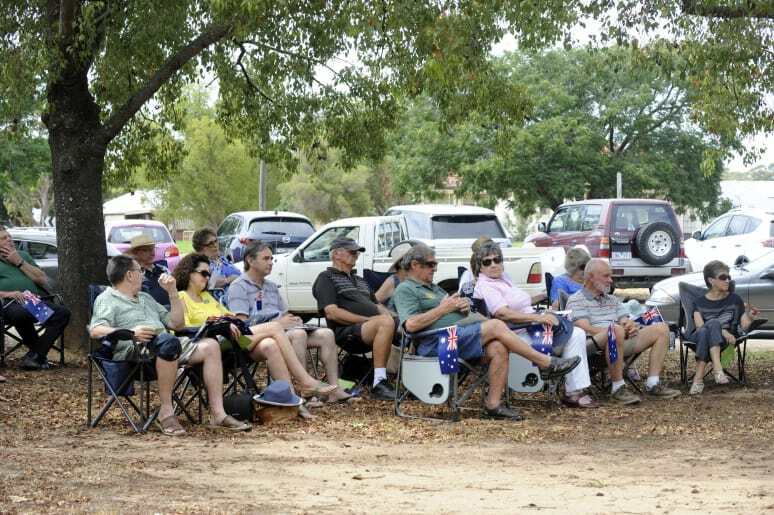 More than 100 people attended the Mooroopna Aus Day celebrations. 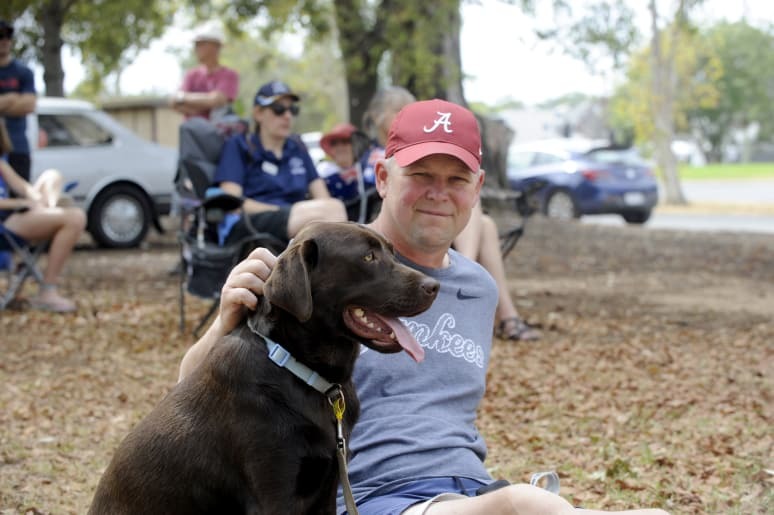 Mick Betson and Gracie watch from the shade.